A winter trek to Triund is an easy to moderate (depending on snow) 6 kilometre trek over a wide well-marked trail. Nevertheless, winter trekking does come with its share of challenges. Care is needed to negotiate accumulated snow and ice along the way. A pair of low flex, stiff soled boots is preferred for this trek. Triund, despite its recent commercialisation, remains the best vantage point for Dhauladhar gazing and peering over the Kangra Valley. This is especially true for winters when it is not uncommon to have the meadow entirely to yourself. Situated at an elevation of 2810 metres, Triund is a long exposed ridge covered with grass and it is the best known day trek around Mcleoadganj. Most travel web sites recommend visiting Triund during the summers. However, during January and February it is not uncommon to have the place all to yourself. Star gazing on a cold winter night is one of the best reasons for visiting Triund in the winters. Mun, Camel, Rifle horn, Two Guns, Slab and Dromedary Peak are just some of the peaks that dominate the skyline under a bright umbrella of stars on a clear night. 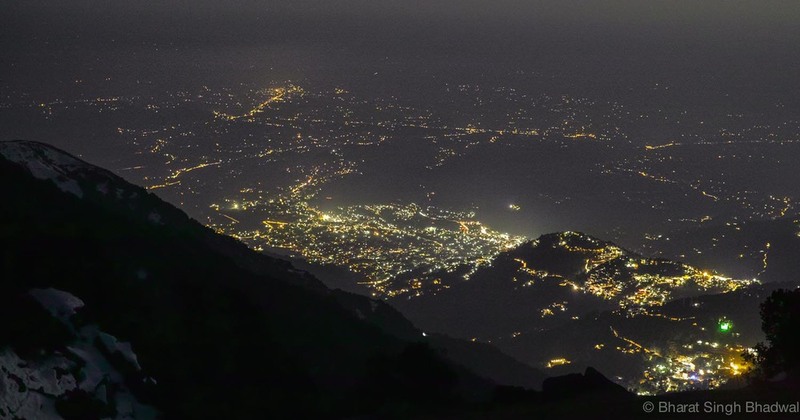 The night also reveals the twinkling lights of the twin cities of Dharamshala and Mcleodganj. Himachal has received exceptionally heavy snowfall this winter and January seemed like the best time to visit Triund as it lay desolate and covered in a mantle of snow and ice. One tea shop en route and another one at Triund were still operational, while the others including the one at Snow Line had shut down because of snow and cold temperature. However, the most memorable moment of this trek was watching the sun rise over the Dhauladhars and into the Kangra Valley. The early morning sun lights up the sky in mellow yellow, which changes to a bright orange and then on to an angry red. The mist that envelops Kangra Valley is parted like a curtain being drawn apart on a stage, and the valley shimmers and appears of a hazy nothingness like a conjurer's trick. Triund during 2015 winter, just a day before a heavy snowfall. 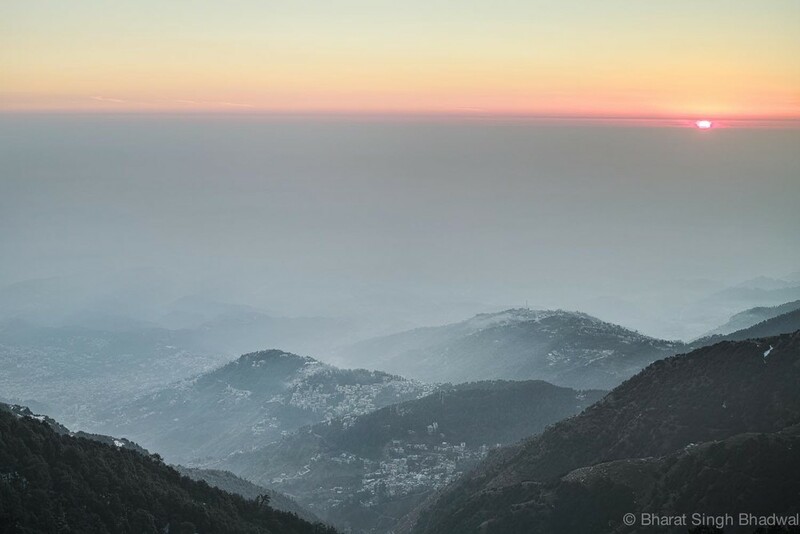 Triund can be approached via a moderate 6 kilometer trek from Galu Maheshwari temple near Dharamkot. The trail is a wide, well-marked and well-known mule path and there are no bifurcation along the way. For most part, the trail catches the sun throughout the day and this keeps the trail relatively snow free. During an exceptionally heavy snowfall this path does catch a flurry of snow but it is seldom blocked for more than a day or two. The trail starts with a gentle climb from Galu Maheshwari Temple till café Magic View. The café is rightfully named because of the beautiful view it affords over Kangra Valley. 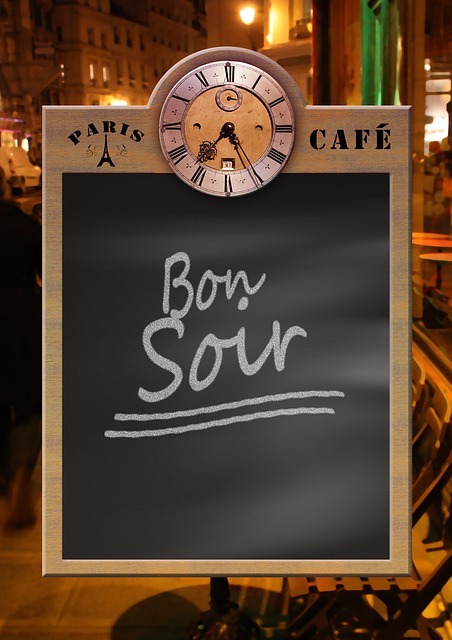 This café is halfway in terms of distance but it is almost a third of the way in terms of effort. After Magic View café the ascent gets a tad steeper and it ends in a steep one kilometre stretch through a forest of Deodars and Rhododendron. This final stretch through the woods is known as 22-curves, because of the 22 switchbacks that one has to walk through to get to Triund. A word of caution though; this last kilometre of wooded section receives no direct sunlight and therefore snow accumulates into ice along the path which can get quite slippery. Be careful over this section especially during descents and early mornings when the ice is at its slipperiest. Tip: The trail to triund and beyond is rocky and cut as steps. Boots with relatively stiffer soles fare much better over these rocky trails. When buying new shoes / boots, check sole stiffness by bending the shoe along the sole, with the toe box pressed to the ground. The shoe that flexes more, is less stiff. 2 - 3 hours ascent 1.5 - 2 hours descent (from Galu Temple). Add an extra 1.5 hours if starting from Mcleodganj Bus Stand. The stay options in Triund have increased recently. The oldest structure is a forest guest house which can be booked in Dharamshala. The booking office lies behind Park Restaurant opposite to Dharamsala Police Station and General Post Office. Another privately owned guest house with two rooms is run by a tea shop owner. A room at either of these guest houses cost around 500 rupees / night. You can rent a tents and beddings at tea shops in Triund. If you are feeling adventurous, a couple of caves to the South end of the ridge offer free accommodation. However, this winter we recorded a minimum temperature of minus 5 degrees C at night (with windchill), so its better to keep an eye out for the weather and be prepared. Pleasant during the day, if it is sunny. Below zero degree C at night in December and January. Could go as low as -9 with windchill. No water source en-route or at Triund. The tea shops charge 50 rupees for a bottle of water. If you are on a limited budget its best to carry your own water and eatables. Caution. It gets cold (-5 degrees C) at night in winters. If you plan to bivouac at one of the caves, make sure you are adequately prepared. GPS route map in .GPX and .KML format. GPX works with most GPS devices like Garmin and TomTom while KML works with Google products like Maps and Earth. Feb 6 Overnight winter trek to Triund. What to wear and pack? A gear guide. May 20 The best viewpoint in Mcleodganj no-one will tell you about. Durga Temple perched atop Gallu Temple ridge.